What if you could leverage that one thing that you are super passionate about and build a brand around it? Sounds too good to be true? It’s not! There is a way for high performing men and women like you to go out there and build something that you can be proud of! On this episode of The Amazing Seller, you’ll hear from Scott as he welcomes Lori to the podcast for a special coaching call. In their conversation, Scott explains how Lori can use her passion for the Keto diet to build her brand and reach a niche audience. If you’ve been wondering how to start a brand and where to start building it, this is the episode for you, don’t miss it! What is your story? Tell it! Everyone has a unique story to tell. Your story might revolve around a particular sport like baseball or competitive running. Or it may center on a hobby like bass fishing or off-roading in your Jeep! Wherever your story leads, you should consider using it build a brand and start a business. Don’t overcomplicate it, just find a way to identify and tell your story! To hear more from Scott about telling your story in an effective way that helps you build a brand, make sure to listen to this informative episode of The Amazing Seller! Capture your audience with an engaging video. Did you know that one of the most effective tools in the marketplace right now is the use of video? It’s true! Just think of how many videos you’ve stopped to watch either on YouTube, Twitter, Facebook, or Instagram in the last 24hrs. What would it take for sellers like you to harness the power of video to connect with your target audience? On this episode of The Amazing Seller, Scott breaks down how to get started with an engaging video. Scott’s tips range from bringing all of the excitement and energy you can muster to the video to making sure you mention an action step and a hook. Get all the details that you need to make a successful video for your brand by listening to this episode! Why you should build up your email list. If you’ve been around the TAS community for very long you know that Scott is passionate about getting sellers like you moving toward building up your email list. The fact of the matter is, an email list is a tool that you own and you can use at your own discretion to drive traffic and communicate with your audience. Where are you at with your brand? Have you built an email list yet? What are you waiting for? Find out how an email list can help you build up a blog, Facebook fan page, YouTube channel, and more by listening to this episode of The Amazing Seller, you don’t want to miss it! If you put in the time, you’ll see results! Too often people are looking for the quick and easy way to make money and find success. But the truth is, the “Quick” way doesn’t usually work! If you want to build something that will last and provide you with a stable income, you’ve got to be ready to put in the work. On this episode of The Amazing Seller, you’ll hear from Scott as he coaches Lori through the brand building process and how it can lead to great results. Scott stresses that this is not a quick and easy way but that it takes time and effort. 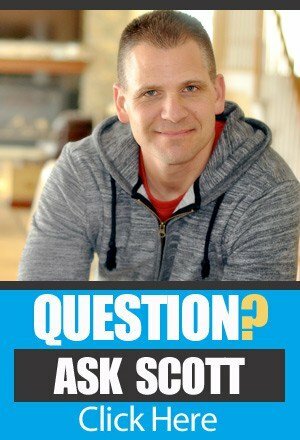 If you are ready to do the work, you’ll see that Scott’s method really works. Make sure to grab your pen and paper as you listen to this helpful episode! [3:30] Lori joins the podcast and shares a little bit about her story. [10:00] Starting with a blog and connecting with an audience. [15:00] Identifying a niche audience. [17:30] Creating an appealing video. [26:00] Building up an email list and offering a product. [32:00] Utilizing a Facebook fan page. [34:00] Scott shares how this approach has worked with his brand! [38:00] Closing thoughts from Scott. …private coaching call here on the podcast and let me just kind of go back a little bit and talk about how I decided to start doing these. I emailed everyone that was on the TAS list or The Amazing Seller Podcast list and I said, “Hey, listen, this is what I’m going to be doing here. If you guys want to jump on a call or potentially jump on a call and talk about your passion project, something that you would love to build a business around a passion of yours or an expertise of yours,” and I got a bunch of people that emailed and I’m going through them slowly because I want to pick the ones that I really feel like I can really help. So, today, you’re going to be listening to another one of those. Now, if you have your own passion project that you would love to jump on an episode like this and have you and I jump on a Skype call and we will go through it. We’ll brainstorm together, and we’ll really dig in and see if this is something that you feel and that I feel could be built into something over time. Now, this is a longer-term strategy. This is something that you really have a vested interest in but you’re excited about and it’s really a passion of yours or an expertise of yours. Now, today we’re going to be talking to Lori and I’m not going to talk too much here in the beginning because she and I really go through it in great detail but I just kind of wanted to set the stage here and let you know what you’re about to hear. So, Lori was kind enough to allow us to record our session and talk about her passion, her past expertise, actually her current expertise as well, and how we can take that and build it into something really, really awesome. We talked about strategies to get started but then also how she can build this thing into a really big and great community surrounding her passion. [00:02:01] Scott: Let me also say that during this session and after every session that I do like this, there’s always golden nuggets and aha moments so definitely listen closely because I want you to think about your own business or your own project that you’re working on right now to build a business, to build a brand, and you’ll definitely get some takeaways that you can apply to your brand or your business right now. All right. Now, the show notes can be found at TheAmazingSeller.com/524. If you want to submit your own passion project, just email me, scott@theamazingseller.com. Title of that, the subject line should read “Passion Project” and then just write out exactly what you would love to build the business around or your current business that you’re passionate about or that you have an interest in also that as well because I will definitely do that. Again, I can’t do it for everyone. I’m going to be handpicking these and then I’m going to be recording them here on the podcast just like this. And the other thing I should mention here is if you guys are brand new and you’re not sure where to start then I would definitely recommend checking out our Product Discovery Bootcamp because that’s exactly what we do there. We identify markets, but we also identify passions and expertise that you or other people that are in your life could possibly help you build a business with. All right. So, definitely, definitely check out Product Discovery Bootcamp and that link is TheAmazingSeller.com/Bootcamp. Again, that’s TheAmazingSeller.com/Bootcamp. All right, guys. So, I’m going to stop talking so you can listen to this amazing coaching call and this fun coaching call by the way with Lori. All right. So, sit back, relax and enjoy. [00:03:41] Lori: All right. Well, my name is Lori and I am a single mom of an incredible four-year-old little girl. I am a registered nurse by trade and have been working with patients for over 20 years. It’s been a fabulous experience. As I have aged over the years, I have developed an appreciation for weight loss. So, about, I don’t know, probably about five or six years ago I noticed that I was having some issues and all of a sudden had gained a fair amount of weight. As someone who is athletic all of their entire life, I never once was concerned about what they ate or what they had to do. Never watched my weight. All of a sudden, I was pretty shocked. And so, I went to the doctor and found out that there was an endocrine issue with my hyperthyroidism and that contributed to some weight gain. And so, I started doing a little research and said, “Okay, this certainly isn’t me. So, what do I need to do to get this weight off?” And so, I started doing some research and one of the things that I found that was pretty exciting was the keto diet and so really, it’s a low carb diet. You have a whole bunch of diet fads out there but as a nurse, I’m well aware that you have to be able to sustain this long-term. Fads just don’t work. You could lose the weight. That’s great but you’re going to gain it right back. And so, when I started doing my research, I realized that this low carb diet really is the way to go. There is a little bit of controversy around it depending on who you ask but at the end of the day, if you look at the components of it, it really is something that the average person such as you or I could actually do lose the weight, get healthy, and change our habits. [00:05:51] Lori: And so, as I was looking at this, I thought, “Wow. There are over 67 million results on Google Search and over 100 keto Facebook groups all asking the same questions, all asking the same advice, all wanting to know the same things and I thought to myself, “Wow. What an opportunity from an entrepreneurial standpoint to build a keto community.” And so, that’s what I’m interested in doing is building that keto community, providing information about a lifestyle, making it simple, looking at what low carb foods you can have, what recipes are average. There are some recipes out there that as a single mom there’s no way that I could spend the time cooking two hours to prepare a meal. So, something that’s easy, that’s simple, and that meets the low carb criteria. Also, there are side effects. When you start to change your body and you are looking at making those huge changes, you do have some side effects. They’re very minor but you need to be aware of what those are and how you can mitigate those side effects. Dining out guides. One of the things I do, working in my role as a registered nurse, is I travel sometimes and that is probably one of the most difficult things to know is what do I eat when I’m outside of my home. So, a guide, questions and answers, having the opportunity for people to ask questions and provide answers. And then finally looking at building out an app because there are apps that you can use. I have looked around and not found an adequate app to help support what I’m doing, and maybe even a newsletter. Just building that community, Scott. That’s really what I’m looking to do. [00:07:49] Scott: Okay. I love it and I already have some ideas. First off, I mean, you’re the ideal person that you’re going to want to probably target. So, right away I mean I would think keto diet is broad so it’s like it could fit all ages. It could be men, it could be women, it could be kids, it could be all of that stuff so the very first thing that I would suggest by going into this thing is targeting a smaller set of the market. So, a smaller set meaning probably going to be you. It’s going to be you as a woman and then, so it would be like keto diet for women. So, I just literally when you were talking I went on to YouTube and I typed in “keto diet for” and it populates. It tells you all of the top ones that people are searching for so like keto diet for beginners, keto diet for women was number two. And then the next one was keto diet for vegetarians, keto diet for men, keto diet for weight loss, keto diet for bodybuilding, diabetes, dummies, PCOS. So, the top ones are beginners, women, vegetarians, men, and then weight loss. So, that’s pretty exciting actually because you are a woman so okay. Good. We got a good start there but now really, it’s going to be about you being the kind of like the person that is helping this market, serving the market of women that are doing keto diet but also sharing your entire story and then from there getting other women to kind of come to you for the advice because you’re maybe just a few steps ahead of them. [00:09:39] Scott: The question comes in too is like what platform are you, I guess, comfortable on? Because the thing is, number one, you need a blog just to start, a website, a blog. So, a blog is kind of like I look at it as like your placeholder. It’s kind of like your home base. So, your blog eventually will get traffic, but I wouldn’t say let’s build a blog and get a whole bunch of traffic coming to it by getting outreach and guest post and all that stuff. I wouldn’t go that route. I would say build a blog just as the placeholder, just as the home base that you control. The second part of it is what is the traffic source that is out there right now that you could supply content that people are searching for that you could also get yourself involved in? [00:10:31] Lori: So, I think probably one of the things that I immediately went to was YouTube. I think having a YouTube channel and having people that can either call in with questions and answers so send those questions and answers and start out that way. [00:10:49] Scott: Okay. And you’re comfortable being on camera? [00:10:53] Scott: Perfect. Okay. Because sometimes it’s not. Some people are like and again anyone listening might be saying, “Well, I’m not really good on camera,” and then they got to get over it. I know my wife would not want to be the one on video. She just wouldn’t. I think she’s great, but she doesn’t want to be on video. She’s getting better. We’re working on it, but she just doesn’t want to but she’s good at writing and all that stuff. But so, for you, that’s great. That’s an expertise that you have that you could do. Now, what I would say, and I think it’s great. I think yes you have a blog and a blog is just a placeholder and the YouTube stuff you’re really looking to in the beginning just get subscribers that are going to be able to come to your channel, find your videos, and then from there subscribe to your YouTube channel. Now, eventually, we want to start moving people from YouTube over to our blog but also to our email letter or our newsletter but more or less our email list. So, the very first place that I would start is I would go to YouTube just like I did, and I would type in “keto diet for” and I would get those top ones like for women, for vegetarians, for weight loss, whatever. Those would be not necessarily the ones that I would start with. What I would do then is I would take keto diet for women so I’m typing this and as we’re doing this, right? And it’s now populating keywords that have the word women in it as well. So, keto diet for women and then it goes keto diet for women to lose weight, keto diet for women over 50, keto diet for women over 40, keto diet for women over 60. So, those right there would be some of the first pieces of content that I would probably create because it’s we call it longtail. We’re going after not just keto diet or keto diet for women. We’re actually adding even more to it which will then be easier to be found for because there is less competition or less pieces of content in a sense. Now, we have to do a little bit more digging. [00:12:53] Scott: If I go into because I think going in the ages is I think really smart because it’s laser targeted like if I’m 50 and I’m searching for keto diet stuff and I see, “Keto diet for women over 50, three things you must know.” I get curiosity. I hit the exact person that I’m targeting. So, I’m putting that in right now and let’s see here. I came up with there’s one video here that’s got 11,000 views and what I’m doing here on the fly and I can’t visually show you this or anyone listening but I’ll kind of walk you through it. This was published in 2016. It’s got 11,885 views. It’s a 3-minute-52-second video and here’s the interesting thing. She’s got 5,500 subscribers and probably not really doing a great job, to be honest with you. So, what I do now at this point is I go, “Okay. it’s got 11,885 views on there for losing weight at over age 50,” so actually if you had a better title, keto diet for women over 50, would probably rank better. So, losing weight at over, it’s weird how it says it, for 50 on keto diet. If I click now on the actual person that created this video, okay, I’m clicking on her name, so I can see all of the other content that she has. So, by doing this I can see, is this person specializing in just keto or is she basically doing a whole bunch of stuff? And just from first glance here, she’s doing a whole bunch of stuff. Yeah. All different, some animal stuff, sheep stuff, rooster stuff, vegan, vegetarian, just a lot of different stuff and then another thing that I do is I’ll go to videos. I’ll click on the videos tab and then I’ll look and see like when’s the last video she did. She did one two months ago and then one three months ago and they have 200 views. One has 460 views. So, again, this person ranked without really having a channel that is focused on keto. [00:15:06] Scott: So, my point is you could probably rank pretty easily especially if your channel is all keto driven is what I’m saying. [00:15:15] Scott: So, hopefully I know that was a mouthful but I’m working out loud here and what I normally do as far as like going through like where would I start, where would I look? We decided keto diet is something that you’re passionate about, you know about, you’re researching still, you’re still learning yourself. You want to take people on that journey with you and you want to attract the right people. We have niched it down to where we’re going to target women. We’re also going to target people that are in a certain age range. So, now that’s where all the content would start. [00:15:45] Scott: And now it’s a matter of you doing the work as far as going through YouTube and doing those searches and having it kind of auto-populate those new keywords and then also going through and seeing what ones you could create that you’re like, “Oh, I could do that one easily,” because you want it to be on point. In this case like keto diet for women over 50 it’s still kind of broad so because of that, you want to almost find something else that’s even more specific. So, it would be something like keto diet for women over 50 and like I said you want to maybe have three things that you’re going to share in that video. [00:16:20] Scott: Right? So, kind of like three things you must know or the next one might be five beginner tips for women over 50 using keto diet or five keto diet tips for women over 50. So, again, you’re giving five tips or maybe it’s grocery list. Five things you must get at the grocery for your keto diet, something like that. Again, I’m totally winging it here but you’re getting the idea. I’m trying to come up with little bite-sized pieces of content so you’re not going to be on video for 10 or 15 minutes. People don’t want to sit through a 10 or 15-minute video usually. Now, you have any questions on that before I move on to kind of how I would structure the content? [00:17:10] Lori: No. I think it makes perfect sense. [00:17:12] Scott: Okay. All right. So, the next part is now again video and again you’re going to get better with doing it, but I always like to look at it like a video is going to basically give those nuggets, those one or two or three tips. You want to hook them right in the beginning meaning because their attention span, all of us is like five seconds. You know what I mean? I’m going to listen to it in the beginning and I’m going to be like, “Hmm, I’m kind of out of here,” or if you’re just kind of rambling and you’re not getting to the point I’m going to be gone. So, it’s kind of like you want to jump on and be like, “Hey, today I’m going to be sharing with you three tips you must know if you’re just starting the keto diet. That’s what I’m going to be sharing with you today. There are things that I’ve made mistakes on and I’m going to be sharing you with these three things that you must do if you’re a beginner so stay tuned,” and then what you’re going to do is have like maybe like a little splash of maybe your tagline or whatever. It might say something like, “The keto diet done the right way,” or whatever. And then from there, you’re going to move right into the content. All right. So, here’s what I want to show you today. There are three things that you need to know. One is this and explain it, obviously. Two is this and this is why. Three is this and this is why. And then you might want to say something like, “So, here I’ve got a question of the day for you. We kind of do these on our videos.” That’s when you’re going to say something like that. Again, feel free to modify but something like, “Tell me in the comments what is one thing that you’ve done maybe or that you’ve experienced when you just started your keto diet? Maybe it hasn’t happened yet, maybe it’s going to happen, or maybe there’s something that you’ve learned that you want to share. Drop in the comments and let me know.” So, what we’re doing here is we’re getting comments coming in which YouTube loves comments because it’s engagement. [00:19:03] Scott: The other thing you can also throw in there maybe is like, “If there’s something that I missed here, if there’s a question you have that I didn’t address, drop in the comments. I’m going to be creating more videos like this so this way here I can help you. Let me know in the comments and I’ll do my best to answer in an upcoming video and make sure you’re subscribed to the channel because every time I post a new video you’ll get notified. Have an awesome day. Happy keto dieting,” or whatever. So, that’s it like you want to make those. You want the hook. You want a little splash of your branding, very little like 3 to 5 seconds tops and then, boom, right into the content and then a little call to action with the comment, post, like, whatever and then subscribe. [00:19:43] Lori: Wow. That’s great. [00:19:44] Scott: Yeah. And that’s it like super easy. So, it’s like come up with these topics, bullet point out like four different episodes, bullet point what you’re going to talk about the hook, the comments or, I’m sorry, the three tips or the five tips and just bullet list them out and I would recommend not like scripting it like I would say like the bullet point is this, talk about the story about it. If you can weave a story in there, that’s even better. So, yeah, I would say just bullet point them out and then just start to roll with it. And the one thing I would say anyone listening right now once this airs is the one thing that people that are on camera and that are teaching or that are sharing you got to be excited. You got to be excited. You got to have energy. If you just come on and go, “Hey, it’s Lori and today I’ve got a tip I want to share with you and today it’s really…” but if you’re like, “Hey, it’s Lori! I’m really excited you’re here today. I can’t wait to share this tip with you because this is something that I didn’t know and now that I know. I wish I would’ve known so here it is,” people are going to the going to know, like, and trust you by the way that you are on camera and the voice and the inflections. This might take some work but try to get yourself in a good state like when you’re ready like you’re thinking to yourself you’re talking to one person, not like 100 or 1,000 people but also understand that you are possibly changing someone’s life and like being excited about that gets other people excited about it. So, that’s one little tip that I could give is like try to kind of like take that energy and really transfer it over to them and, again, they’re going to want to come back because of your excitement as well. [00:21:41] Scott: So, that would just be one tip on the kind of like on camera stuff. And so, as far as that go, so like again YouTube you’re going to go there spend some time and you’re going to be like, “You know what, I’m going to go ahead and I’m going to get like 10 topics that I’m going to be creating videos about.” And then you grab the headline or the keyword longtail and then you can play around with curiosity stuff because videos are generally good too if you have some curiosity in there like three tips you must know or three tips I wish I knew or just five must or what’s the other one there like or the other good one that works is kind of like three tips for your keto diet or whatever and then say, “Number two is my favorite.” You know what I mean? So, you’re kind of like people are like, “Well, I want to know what number two is.” So, that’s another thing and I’m just going back here now just looking at some more videos and it’s funny because there are 28,000 results for keto diet for women over 50 and that keyword is not in any title that I see. [00:22:53] Scott: I don’t see any. Now, does that mean that there’s a huge amount of traffic? Don’t know. I do know that the one that says losing weight at over age 50 on a keto diet, that got 11,000 views in a year. Now 11,000 views it’s not like 100,000 views but still without it even being optimized and she still got traffic is pretty crazy. [00:23:19] Scott: You know what I mean? And the other thing you can do too is go to there’s a tool called Keyword.io so it’s Keyword.io. It’s a free tool. I think you can get a certain number of searches every day and then if you want to pay for it, you can. You can look on Google, YouTube, Amazon, Bing, Wikipedia, eBay, even Alibaba, Fotolia, Fiverr. So, if I type in “keto diet for women” I’m just going to put that in. Search and I’m searching right now and it’s coming back with, yeah, it’s coming back with a whole bunch, 104 keywords. So, keto diet for vegetarian is another one that keeps coming up and then another one is keto diet for acne, keto diet for athletes, keto diet for cancer. I wouldn’t probably touch on that one anytime you’re at that. You don’t want to make claims. [00:24:18] Scott: Keto diet for college students, keto diet for competition, keto diet for contest prep so those are more it sounds like for working out and stuff but the vegetarian one keeps coming up so that be another one. So, that’s just another way to kind of get an idea. The other one is just go straight to Google. There’s also the Google Planner that you can go into, a keyword planner. Diet for women. Let me just see what this comes up for searches. Yeah. This one’s coming up with 63 million results on Google. [00:24:55] Scott: So, yeah, there’s definitely a market there. It’s a competitive space but, and I tell this to anyone, if you are willing to be the face of the brand and be the person that’s kind of like, “Hey, I’m just like you. I’m just a little bit further ahead than you. I figured this thing out. I’m still figuring this thing out. Come along with me for the journey,” and people start to know, like, and trust you then there’s no competition. You’re going to be the person that’s going to be the ultimate resource for keto diet for women. And then people are going to start referring people to you and linking to you and sharing you just automatically. It is a long road though. It’s a long gameplay and if you’re up for that then I would go for it. The product side of things there’s a huge amount of opportunity like you mentioned an app like I wouldn’t probably go out there and develop an app right now. What I would do is I would build up the audience, I’d build up my email list. I think email list is another big thing for you because then you can drive traffic to your content that’s on YouTube and then spike that. That will help get more views and then when you get more views and watch time on YouTube, it will also then help spike that algorithm just like Amazon’s algorithm, just like Google’s algorithm and then you’ll get likes and shares. You can even incentivize a little bit by saying, “Hey, I’m going to do a contest. For the next week, if you comment and let me know your biggest tip for keto dieting, we’re going to pick one winner and you’ll win I don’t know something keto,” or maybe it’s a keto cookbook that you buy on Amazon and you give it away. Something like that that you can kind of get that going but an email list will allow you to do that. It will also allow you to communicate with them and say, “Hey, I’m thinking about creating these four pieces of content. Which one would you like me to create? And if I didn’t mention one, let me know what that is,” so you can almost like piggyback off of the list telling you what they want you to create next. [00:26:54] Scott: So, blog, YouTube, email list like that’s a lot but those are the three things that to me would give you assets that you’d build now and that would live on, blog, YouTube, and email list like those are the three and they’re also going to help each other. The blog is going to automatically start to get traffic once you start to build content and you get people that are going to the linking there. YouTube stuff can be then embedded on the blog so if you have a YouTube video, you’re going to probably take that YouTube video, embed it in a blog post and then write almost like a recap story about the video or even have it transcribed and have it put up on your blog. That’ll give Google stuff that they can index and then you’ll start getting traffic there and then the email list, that will be a place where you can then let everyone know the content that you created for the week and then push people to those different pieces of content. [00:27:49] Lori: Right. Okay. Yeah. That’s great. [00:27:51] Scott: So, the product stuff, that’ll come like even building the app. You’re like, “Guys, I’m thinking about creating this app. I would love to see an app that is this, this and this. What would be some features that you’d like to see in an app?” And then you almost let them build the app with you and then when the app is ready, if you did create one, they would be the ones that are going to download the app first and then help with that algorithm if you’re going to go to the app store. Like so before I would even go down that road, I would wait until I had the audience to help me through that and also help me push it when it’s live. Same thing with products on Amazon. 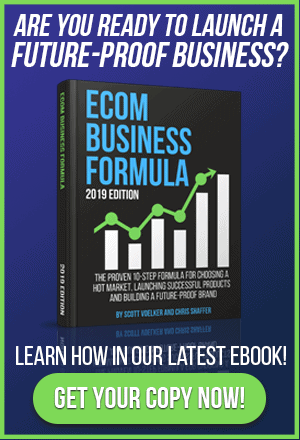 There’s going to be products on Amazon that you could sell to your audience and you could private label a product on Amazon or for Amazon to launch it but then you can also take that product later and sell it on your platform or build your own sales funnel. I mean, this market here would be amazing for a free plus shipping offer. There’s a whole bunch of stuff you could do but again we’re not there yet. [00:28:51] Scott: Right? So, to me, it’s about building the audience and really building the followers in a sense that are going to help you build this brand that competition isn’t even going to matter. [00:29:04] Scott: Does that make sense? [00:29:06] Lori: Absolutely. No, I think it’s a great plan. [00:29:08] Scott: Yeah. You have any questions? [00:29:11] Lori: I think the only questions that I would have for you, Scott, is upon development of the blog, what’s the best way to start driving traffic to that initial blog? [00:29:22] Scott: Okay. So, the way that I would drive the traffic to the blog post is I would definitely link it up inside of the YouTube description. Why not? But I would start by building an email list even if it was just building an email list to get people to raise their hand that I know are interested in learning more about it and that could just be you running some type of contest and using a Facebook ad that would target women that are interested in keto. And then from there, coming up with some type of and I don’t know what it would be but some type of probably physical product that would help with keto or maybe it’s a gift card to a Whole Foods store or whatever like maybe it’s something like that and it would have to be substantial like $100 or something like that and then getting them to raise their hand by entering their name and email address. Now, what that does it allows you then to introduce yourself, “Hey, I’m Lori and I’m going through this keto journey right along with you but I’ve been doing it now for this long. This is why I decided to do it.” So, it’s a way for you to share your story even on video like I would probably shoot that welcome video for your YouTube channel and then I would drive my first email would probably go to that and then that way there you’re kind of getting them to know you right out of the gate, who you are that’s doing this, and then when you have a new you blog post, guess what we do? We send them an email and we go, “Hey, I just posted a new blog post about these five tips,” or whatever and then you drive 500 people over to that blog post immediately versus you waiting for organic traffic to start happening. [00:31:07] Lori: Oh, that’s great. [00:31:08] Scott: Yeah. So, that’s the power of the email list and at a very, very basic level is really just getting people to raise their hand that you know. And on Facebook, it’s pretty easy to target by age, demographics like their interest like all of that stuff so for you to even put like a $10 budget per day and then say like, “I just want to get women to raise their hand that I know were interested in keto,” and then get them to raise their hand and enter the contest and then in 30 days you have 500 or 1,000 emails and then you can start sending those people content. You’re not even selling them anything. You’re just basically building that relationship. [00:31:50] Scott: And that would be the blog content, a YouTube video, whatever it is, I would start to really start driving those people to those pieces of property. And the cool thing is, is if you did happen to, well, let’s kind of go back a little bit. On Facebook, you’re going to want a Facebook fan page because you’re going to eventually need that to run ads. So, what I would do is I would almost repurpose what I’m writing on the blog or the videos that I’m creating on YouTube and I would repurpose them on my fan page. I know it’s another piece of real estate in a sense but if all you’re going to do is just kind of like repurpose your stuff, it’s not really a lot of work to do that. And then if you have a video or a piece of content that you want to get shared, you could drive your email list to that Facebook post and then you can start to get it shared. And then that post on Facebook or that video might also have something in there that you’re driving people to maybe it’s a free offer or maybe it’s a we call them a lead magnet but maybe it’s like something like your ultimate guide for keto and then you start to build your email list off of that so once it’s shared on Facebook that piece of content is getting shared but in the share in that post is also a call to action where people can then start to follow you or start to join your email list. [00:33:12] Scott: So, it’s another thing. It’s not necessarily something that I would say would have to be the first thing but if you are going to run any type of Facebook ads, you’re going to need a fan page regardless, so you might as well just set up that page just as again like a placeholder for some content that you could also run ads through. [00:33:32] Scott: So, I see it as obviously coming up with the topics that you think are going to be searched for but then also helpful, putting your unique spin on it, having them keyword loaded exactly how they are being searched I think is another thing that you’re going to want to do and then creating those five to ten pieces of content and then start to obviously put them up on YouTube but then start to post them on the blog and then on the side of that is I would build that email list so I can start getting people to know who I am, know, like, and trust me, but then also start pushing them to that free content. [00:34:08] Lori: All right. I am absolutely up for the challenge. [00:34:11] Scott: Yeah. And, I mean, just to let you know, I mean, like this is exactly what we did in the new brand to a T like we had a blog. We just had our content that was being created for not YouTube but it was for more or less for Facebook and then those videos or those Facebook lives we then would post them or at least the summary of them on the blog and then we built the email list through giveaways in the beginning then we would drive traffic to a Facebook live or it would be to a blog post that was recapping the Facebook live and we built that now to where we’re getting about 30,000 to 50,000 uniques a month. So, the traffic will happen, and it’s been consistent though. The other thing with Facebook too is if you ever wanted to jump onto a Facebook live, those are cool because then you can get real live engagement. And even if you don’t get a huge amount of people to show up, let’s say you get 10 people to show up, that’s fine because that still lives on at least for the first week or two where then people will share in other groups and especially if you tell them to share it like, “Hey, do me a favor if you know anyone that would find this video interesting or these tips interesting and useful definitely share it one of your favorite fan pages, your groups, I’d really appreciate that,” like something like that. Yeah. So, again, there’s a ton but to simplify it, blog, YouTube content, and an email list like those are the three components that I see and consistency like coming up with that plan. Another tip for you would be to probably batch and really like batching each one of these things like to figure out what content you’re going to do before you ever turn on the camera. So, spend some time to figure out your content and then figure out a day that you can just knock out four videos and get them done and get them batched so that way there you’re not like, “What am I going to do?” and then you then figure that out, then you shoot it, and then you upload it, and then you tag it, and then you post it. It’s like it gets messy but if you can kind of plan things out in stages or in steps, it becomes a lot easier. [00:36:25] Lori: Wow. Great content, Scott. Just absolutely amazing. [00:36:28] Scott: Awesome. I’m glad that I was able to help, and I definitely want you to keep me posted and if there’s anything that you need as far as, “Scott, what do I do now? I’ve got this thing. I was thinking about doing this. Should I do this?” Like, if you want to ask me any of those quick questions that if I can give you help I’ll be more than happy to do that. I think you’re onto something. I think the big thing is and for anyone listening as well is you have a passion for this, but you’ve also experienced it, right? [00:36:58] Scott: You also have some creds, right? You’re a registered nurse. [00:37:01] Scott: Like play on that. Like, make sure that you let people know that because that automatically steps up your authority and your credibility. You’re not just a lady that just said, “Ah, I’m going to try this keto thing and it kind of works,” and you’re like you being able to say that you’re a registered nurse is huge, so I would definitely make sure that you threw it in there not like you’re bragging or like you’re saying like, “I am this expert,” but just kind of throw it in there. People will pick up on that. [00:37:30] Scott: You know what I mean? [00:37:31] Scott: So, yeah, any other last questions you have before you get off to work here? [00:37:36] Lori: No. I think that I have a great plan of action and now it’s up to me to execute it. [00:37:45] Scott: It is. It is. So, yeah, just keep me posted for sure and, yeah, I really look forward to kind of seeing where you go and maybe we’ll have you back on in a six-month period and we can kind of see where you’re at, what you’ve done, and we can maybe do another call at that time and take it to the next stage. [00:38:02] Lori: Yeah. Sounds fantastic. [00:38:04] Scott: Awesome. All right, Lori. I appreciate it and get out there and make it happen. What do you say? [00:38:09] Lori: I say let’s do it. Thanks so much, Scott. [00:38:11] Scott: All right, Lori. Take care. [00:38:13] Lori: You too. Bye. [00:38:13] Scott: We’ll see you. Bye. [00:38:15] Scott: All right. So, there you have it. Hopefully, you enjoyed that. Hopefully, you took away some nuggets there that you can apply to your business or your future business and just really, I wanted you to go through this to see exactly how I think and how I take an idea and then I start to brainstorm and start to shape the different directions that we can go and also building on the strengths of the individual because all of us have different strengths. You might be really good on video or maybe you’re afraid of video. Maybe you don’t start there. Maybe you start with a podcast or maybe you start with a blog because it’s easier to write for you. All of those things we need to identify but we also need to identify the market as we did in this last call so hopefully you’re starting to analyze your own situation and your own business, maybe even your current business. How can you take that business and apply some of the stuff to make it even bigger and build that brand that we keep talking about? So, guys, if you want the show notes to this episode, head over to TheAmazingSeller.com/524 and you’ll grab all those over there. And the other thing I would say, if you have your own passion project or your own business that you want to take to the next level and you want to build it into a brand that you’re not currently doing maybe right now then definitely shoot me an email, scott@theamazingseller.com and in the subject line just put in there “Passion Project” and then from there give me details about what you’re working on or what you would like to work on in the future and maybe we’ll get you on an upcoming podcast where we can go through this, we can brainstorm together, we can have that nice little coaching call brainstorming session together. All right. So, definitely do that if you’re interested. All right, guys. So, that’s it. That’s going to wrap it up. Remember as always, I’m here for you, I believe in you and I’m rooting for you, but you have to, you have to, come on, say it with me, say it loud, say it proud, take action! Have an awesome amazing day and I’ll see you right back here on the next episode.